With the news that Canadian MR body the Marketing Research and Intelligence Association (MRIA) is closing down, a number of agencies are already in discussions over a new association. In a short memo sent yesterday, MRIA Board Chair Amy Charles explained to members that the non-profit was ceasing day-to-day operations and would be formally wound down during August. 'The organization's current financial situation leaves no other possible alternative', she stated. 'With a steady erosion of membership revenues and subsequent to the recent annual conference that left us with a significant shortfall, we are compelled to undertake this action'. According to ipolitics.ca, a source close to the association said low turnout at the meeting, because of competition with another high-profile event in the US, wrung the association's death knell. The MRIA was unable to wait for renewed membership fees to pay its bill before the fall, said the source. 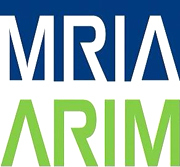 Founded in 2004 through the merger of three industry organizations, MRIA represented all aspects of the country's public opinion and market research sector; with members including more than 1,800 practitioners, small to large research houses, and many buyers. However, since launch, MRIA has faced criticism for not enforcing its standards, and in 2015, CAPOR (the Canadian Association for Public Opinion Research) was set up with the aim of 'bringing greater professionalism, transparency and accountability' to public opinion and issues researchers. Later, MRIA and CAPOR were merged, after the former updated the polling section of its Code of Conduct, based on ESOMAR/WAPOR and AAPOR guidelines, and built in specifically Canadian feedback and legislative requirements. Just hours after the closure was announced, a joint statement was issued by Don Mills (President of CRA Research Associates) and Jean-Marc Léger (President, Leger 360) and signed by five other prominent pollsters, calling for a new organization to be created. 'We will continue our discussions with a view to launching a new standards and certification body in short order. We will also be broadening our outreach to other industry leaders who share our belief that quality, scientifically-sound research is a critical goal', the group stated. Freelance consultant and MRIA fellow Annie Pettit added that the outcry from the MRIA membership has been 'stunning'. 'Members clearly see the benefits and needs of an association that offers education and networking opportunities, as well as research neutrals, a code of conduct, standards, and advocacy. I am encouraged by the number of individuals, small businesses, and other national and global associations offering their services and support to our members while we work through this difficult transition. It's time to work with the broader membership to rebuild a new organization we can all be proud of'.